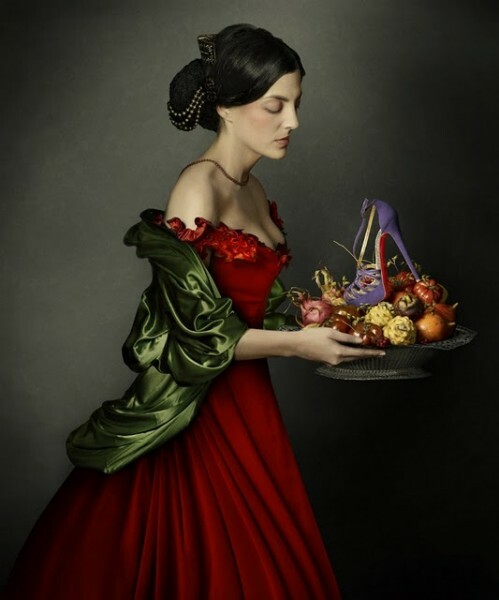 Impressed by the photos of Peter Lipmann for Christian Louboutin's new shoe collection winter 2011-2012 "The Power of Femininity" I like to share it with you. Based on "Madeleine à la veilleuse" by George de La Tour with 'Puke'-booty van Christian Louboutin. 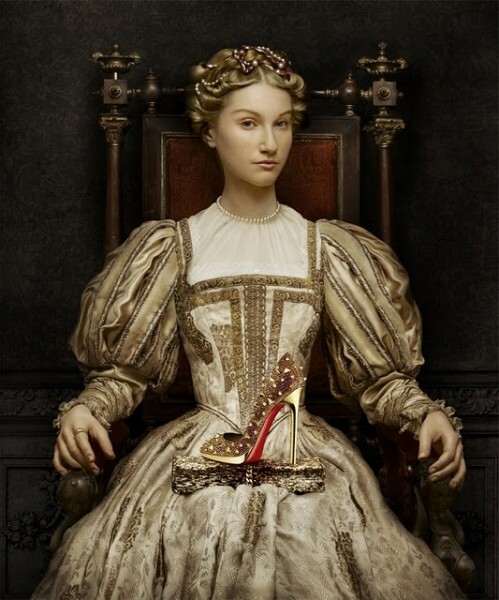 The classic portraits with Christian Louboutin shoes are based on the works by French painter Marie-Guillemin Benoist, Jean-Baptiste Camille Corot, Georges de La Tour and Jean-Marc Nattier and the Spanish painter Francisco de Zurbarán. 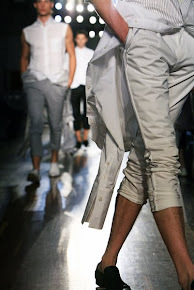 Here a few of them. 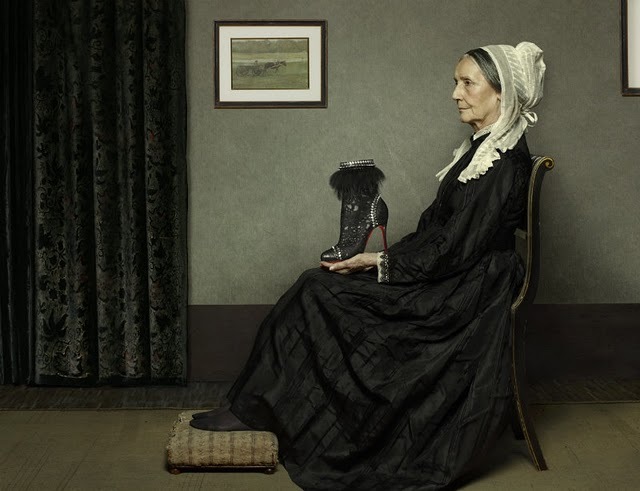 "Portrait of a Girl" by the french painter Jean Babtiste Camille Corot with 'Halte'-pump of Christian Louboutin. The mother of American painter James Whistler is given in the portrait "Grey and Black: The Artist's Mother" instead of a handkerchief the "Tootsie'-ankle boots in her hand.